Care to have some crunch? Grab a pack of Nabisco's Chips Ahoy! cookies in your nearest grocery store. 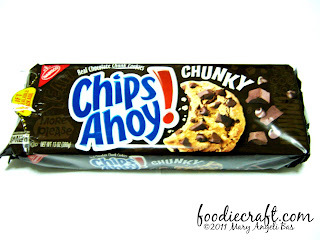 This cookie product can be your best buddy during snack, movie, outing, study time and many others. It is available in three sorts namely Original Chocolate Chip (sky blue pack), Chunky (brown pack), and Chewy (red pack). For a test, I chose Chunky. Among all three, Chunky is the only product that is available in Nabisco's so called 'Snack 'n Seal'. 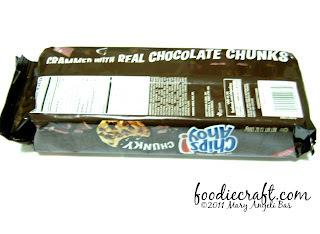 It is their kind of packaging that they produce where the cookies are contained in a unique resealable package that helps keep Chips Ahoy! cookies fresh even after it's been opened. 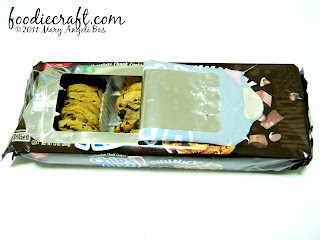 The brown goodies are lined-up with a transparent plastic divider inside the pack. At first open, you can smell the fresh aroma of the cookies. A cookie contains so many chocolate bits that make it very sweet. It will melt in your tongue -turns into concentrated chocolate syrup- really sweet and so chocolatey! 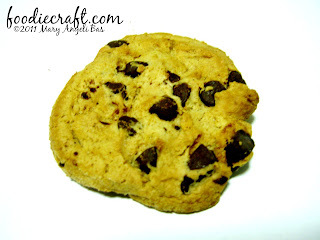 The cookie dough is really chunky. It's fun to bite and chew. 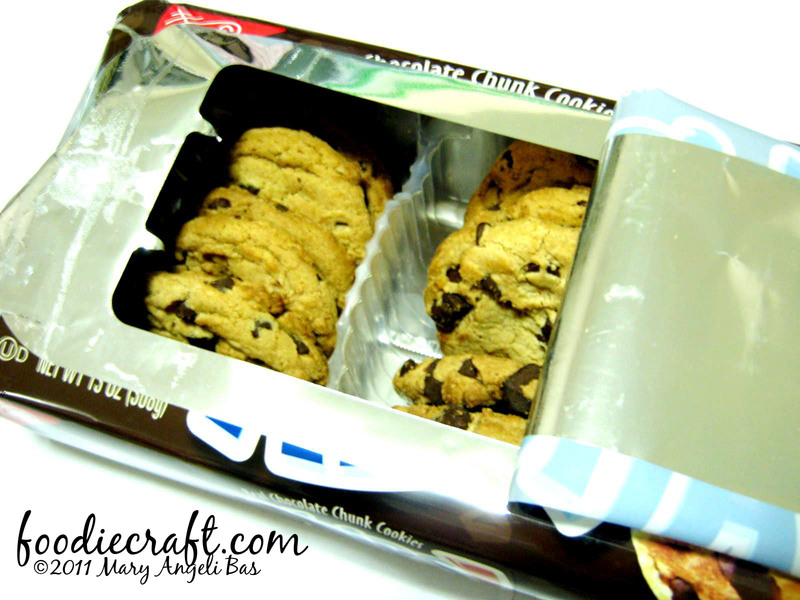 If you store the cookies in the fridge, it becomes more chunky- meaning more delicious to eat.